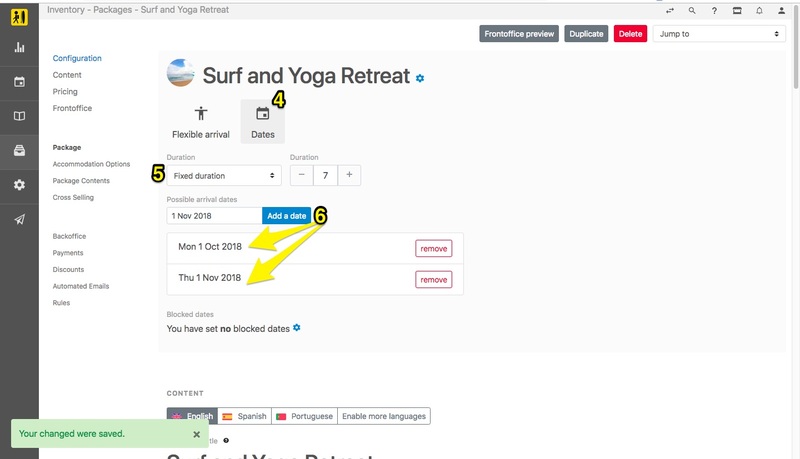 If you offer packages only on specific dates, such as a pop-up retreat week, you should use the "fixed dates" option. 5. Choose if the duration is flexible or fixed (ie. the booker can select the number of nights of the package or the package is fixed for a certain number of nights). 6. Choose the possible arrival dates for your package. 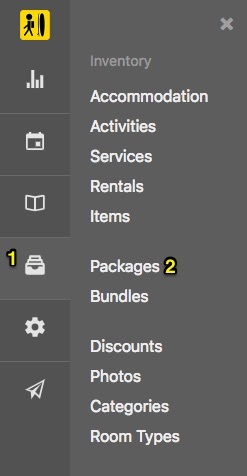 If your package is on auto-pricing then you are finished with the package setup. If your package is on manual-pricing you will need to set a price for each of your dates. 1. Scroll down to the Pricing section and select if the pricing is per person or fixed, seasonal or year-round. 2. Add a price for each of your dates. Ensure you do this for every currency, and also set your related tax-rates for the package (to learn how to set up tax rates, please refer to this article). 3. 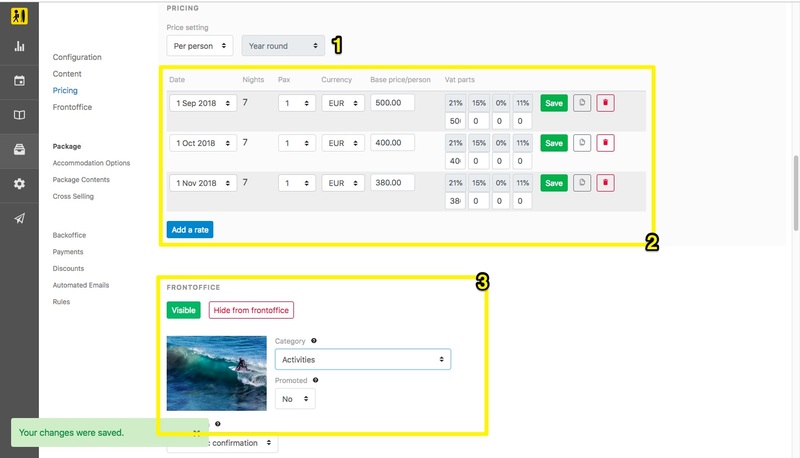 Select which Frontoffice category the package should display in. Your package can now be booked through the Frontoffice!